In the summer of 1985, fifteen-year-old Sam Crowhurst discovers an old abandoned cinema that screens movies made by ghosts, for ghosts. Sam, along with his friends, Emma and David, find themselves drawn into a world where the likes of Humphrey Bogart, Lon Chaney and Theda Bara are still making pictures; where Harold Lloyd and John Belushi team up for roustabout comedies, and Karloff and Lugosi appear in films scripted by Edgar Allan Poe. 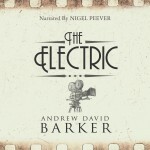 Sam comes to learn the mysteries of the Electric cinema and his part to play in its long and strange history. 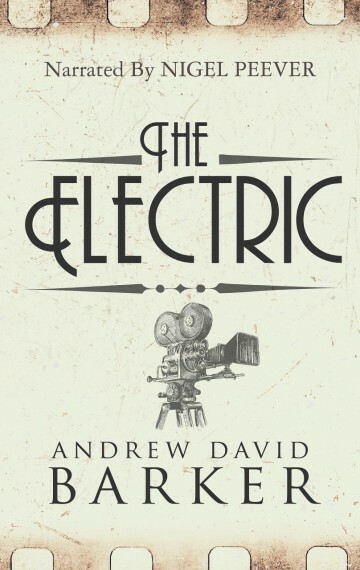 THE ELECTRIC is about movies, ghosts, and that ephemeral moment in all of our lives, childhood.